This month, unsuspecting grocery shoppers got a cheeky reminder to check their melons in the produce section. Nesters Market partnered with the Canadian Breast Cancer Foundation to create Don’t Forget To Check Week. 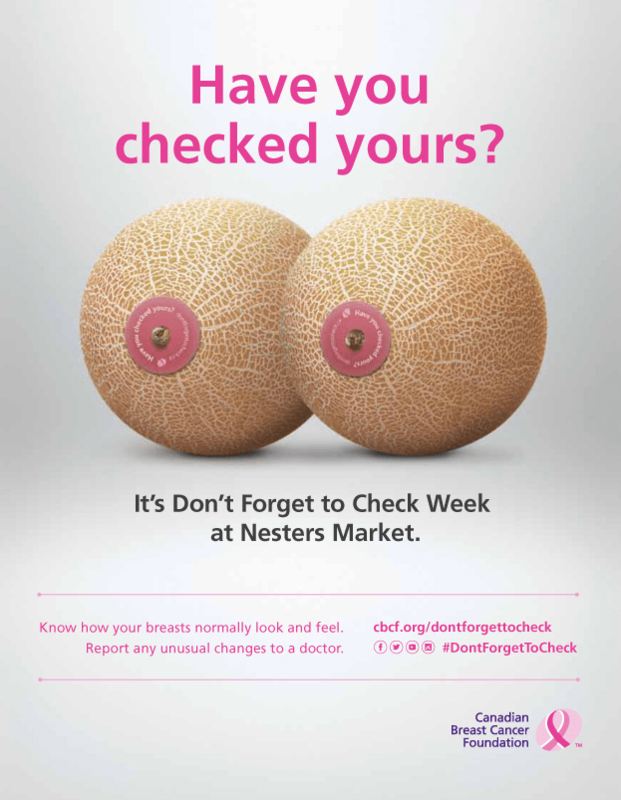 From November 15 – 21, all 11 Nesters Market locations across British Columbia and Alberta gave their melons a makeover to remind women to check themselves for breast cancer. Every cantaloupe, honeydew, and mini-watermelon was stickered with the cheeky reminder of “Have you checked yours?” and a link to the official site full of helpful breast cancer information and prevention tips. The campaign was designed to remind people that regular self-checking can save lives – especially in young people who don’t undergo regular mammograms. In fact, 18% of all breast cancers are diagnosed in women under 50. Go give your melons a little love today. The small, circular, pink stickers are meant to — yes, remind you of breasts — and the need for self-examinations. For more information check out www.dontforgettocheck.ca. 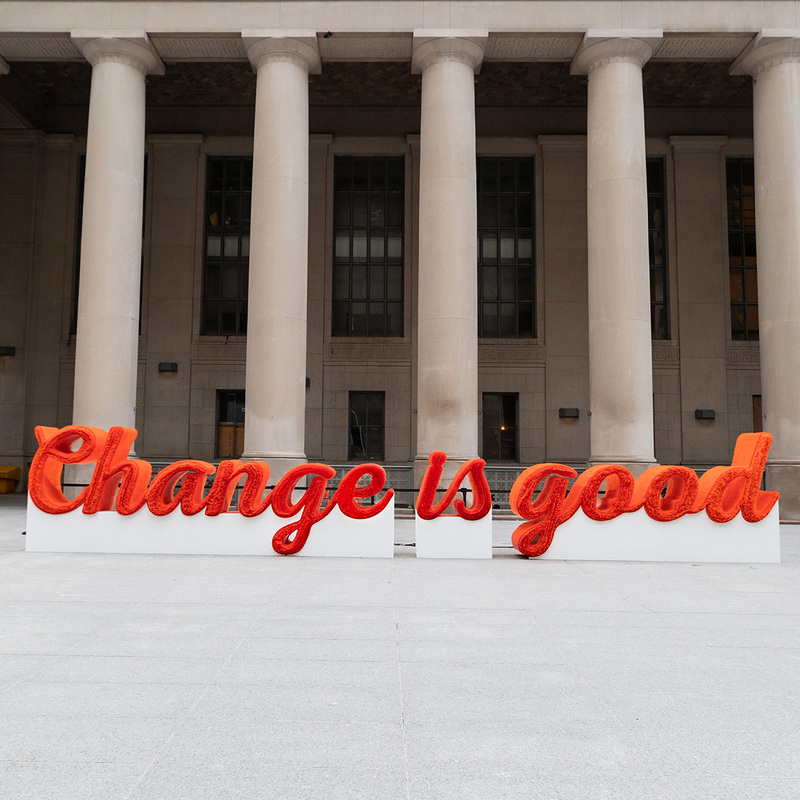 A&W unveils 35ft installation saying goodbye to the last of its plastic straws. 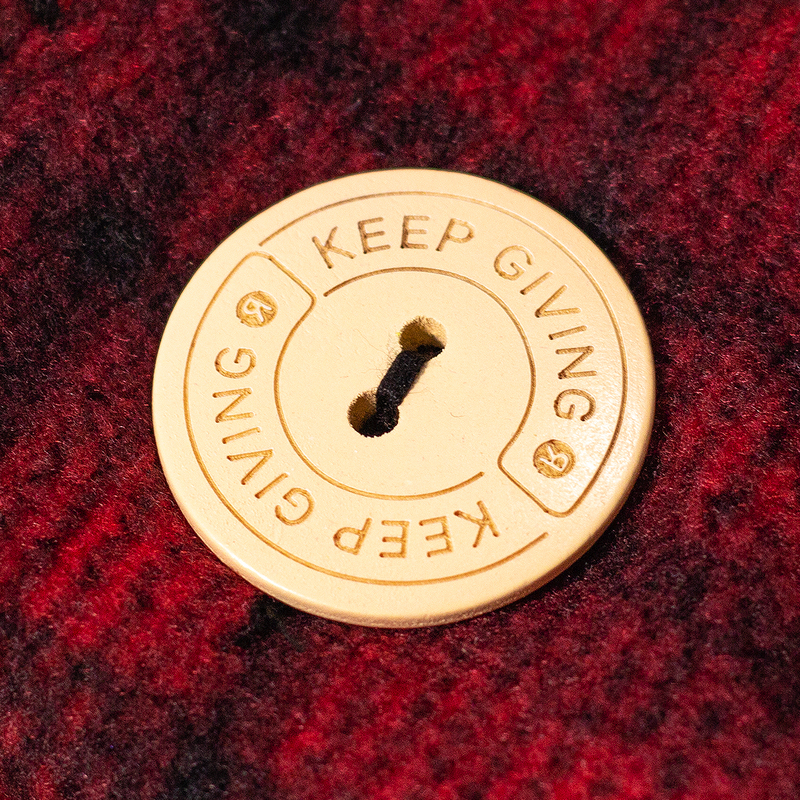 Rethink gives the gift of giving with a shareable scarf. 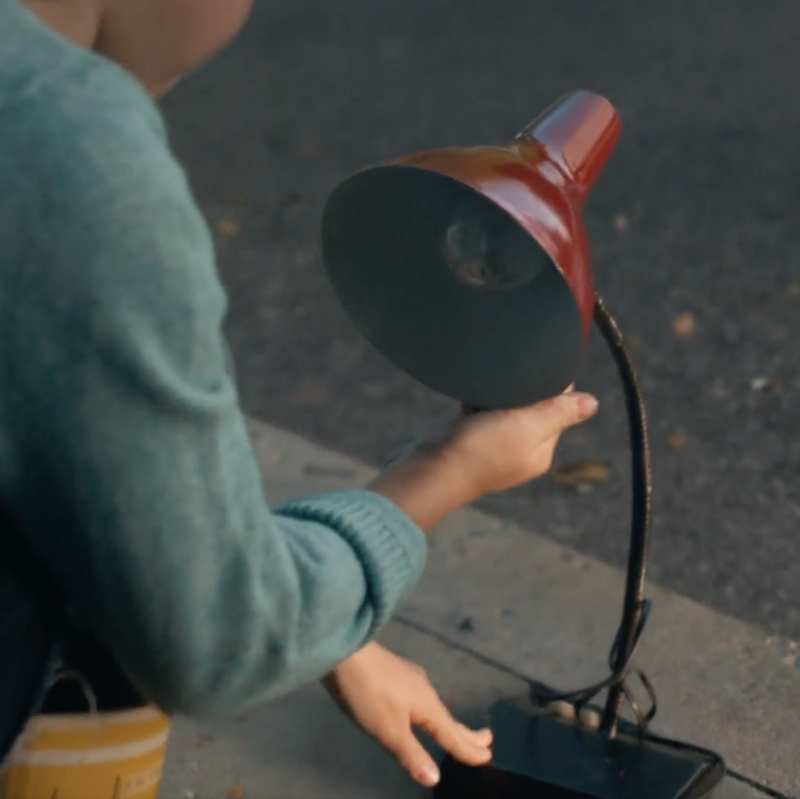 Rethink’s Lamp 2 for IKEA picks up the number one spot on Ad Age’s creativity top five. 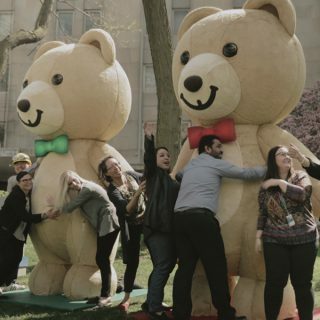 Kraft Peanut Butter rallies Canadians to collect 100,000 hugs for SickKids.